Description: Fabulous townhome, boasting 2-beds plus loft, is not only in like-new condition, but is immaculate as well! Spacious kitchen features upgraded cabs & includes stove, micro, refrig, dishwasher & disposal! Also included are washer/dryer! Large loft-15x9-offers plenty of room for office/fam rm/play rm! 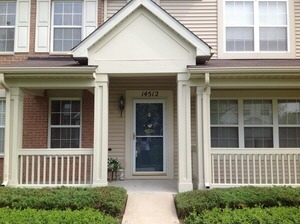 Beautiful master bed has private bath, main bath is convenient to 2nd bed & loft! 2 car garage! Fantastic townhome!! !